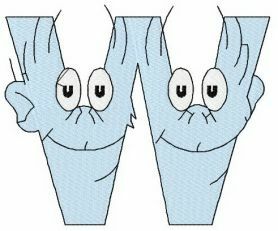 Letter W looks like Thing One and Thing Two. 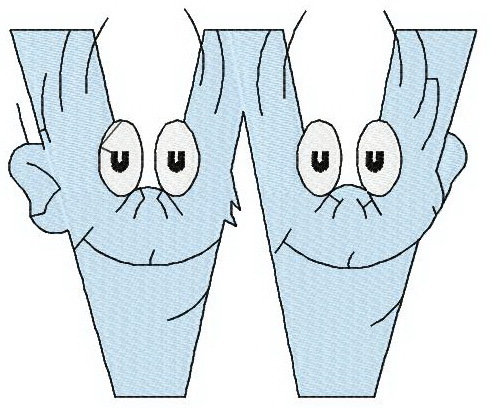 This design will be loved all fans of Dr. Seuss's creativity. If your kid's name starts with this letter, than this design is definitely for you. Embroidered backpack will be unforgettable present.